During lunch today we had our final book club for Seniors (we’ll miss you, Class of 2015! 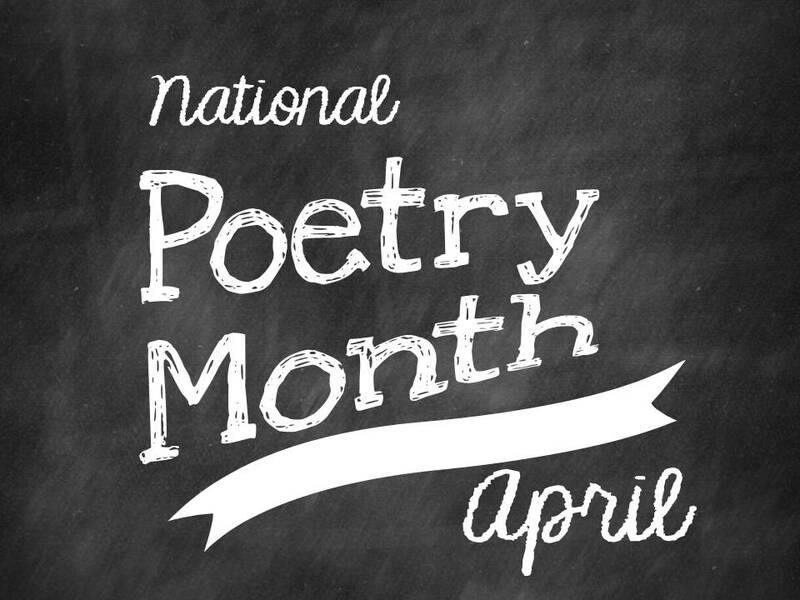 ), and we also celebrated National Poetry Month. Ms. Melinson started things off by reading a poem she enjoys sharing at the end of the year with Seniors called “The Summer Day” by Mary Oliver. Another tradition of the last Senior book club is to honor the Seniors who came to book club consistently throughout their high school career. This year our top book clubbin’ Senior was Jaspreet, who has regaled us over the years with his many, many recommendations of zombie books. Ms. Melinson presented him with a reading journal filled with the titles of these zombie books (to be fair, not all of them were zombie books. There’s some great nonfiction in there, too!). Anny S. shared a poem by Billy Collins from the book Sailing Alone Around the Room. She enjoyed this particular book of poetry and talked about giving it to her friend as a gift. The conversations shifted from poetry to an array of different novels, and Avi was delighted to share that Eleanor and Park was, indeed, worth all the fuss. Mrs. Batarseh shared some amazing translated Arabic novels with us, and Mrs. Fels talked about making the mistake of reading Ruth Rendell’s horror novels in the middle of the night (moral of the story: just don’t do it!). For a complete list of books recommended at today’s book club, check out our Goodreads page here. Julia O. gave a talk today about a 5k Run she’s organizing for Heart Health. She told us how she got interested in the subject and why she wants to raise money for it. The race will begin at school and take place on April 23 and 24. See flyers around school for more information. Thanks, Julia, and good luck! To celebrate the last leadership lunch (and as a nod to irony), Emma brought snacks that were anything but heart healthy. Thank you, Emma, for coordinating the leadership lunches and spoiling us with both healthy and not-so-healthy treats these past two years! Best wishes in college! Be sure to join us in the library next Monday and Tuesday from 12:05-1:55 to see the Top Ten Sophomore Presentations. There will be a new set of judges (and prizes!) for this round, and the overall winner will present to the Board of Trustees. We can’t wait! “Albert Einstein and His FBI File” – Shriya N.
“Vincent Van Gogh: Artistic Effects of Lead Poisoning” – Isabelle L.
“The Politics, Campaigning, and Corruption of the Nobel Peace Prize” – Alexa M.
“Serge Diaghilev” – Camille L.
“Early Astronomy” – Marigot F.
“Nelson Mandela’s 27-year Prison Life” – Kevin H.
“The Spy Game” – Nicole W.
“American Code Breakers in WWII” – Christian V.
“World War I: The World has Changed” – Mac S.
“Why Did 27 Years of Democratic Fighting Not Make a Difference in Burma?” – Avi B.